Another day, another crock pot recipe! Aren't they just the best? 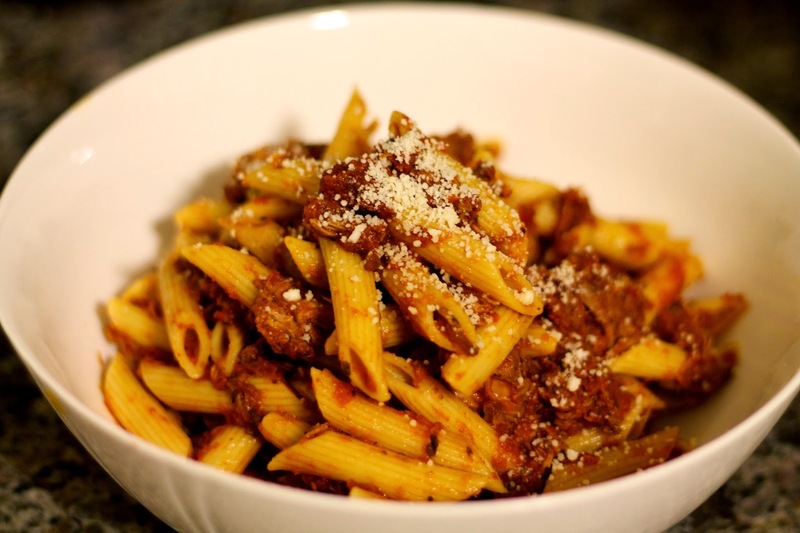 You can't beat coming home on a frigid day to a warm, hearty dish of Braised Beef Ragu. No really, you can't. This recipe turned out so delicious. Mike likened it to a heartier version of spaghetti, and i'd say that was a spot on description. Rather than ground beef, slow cooking a rump roast all day results in tender, savory pulled beef and the rich tomato sauce is the perfect accompaniment. Just boil up some pasta, and dinner is served! 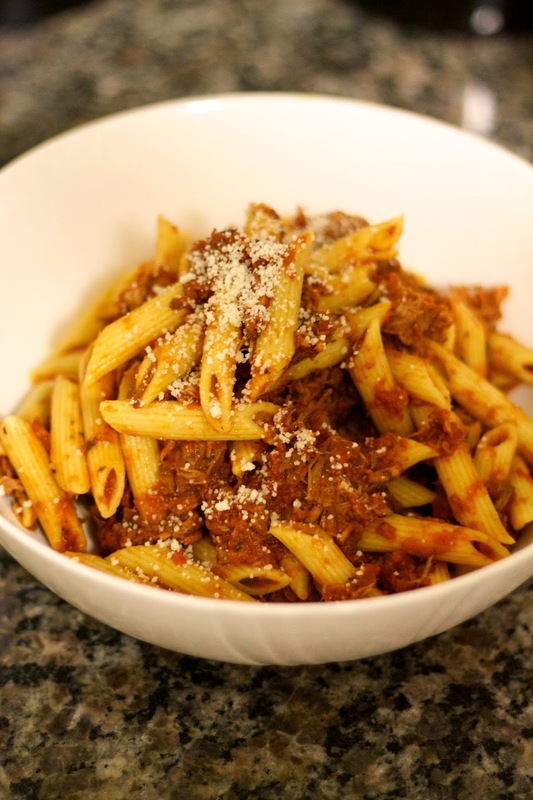 In the crock pot, combine all ingredients except beef and penne, and stir well to combine. Slice the rump roast into 4 equal pieces (just to help it shred easily). Cook on low for 8 hours, then use a slotted spoon to remove the meat to a cutting board and shred with two forks. Return the shredded beef to the sauce, then stir in the cooked pasta and serve. Top with parmesan cheese; enjoy!